An Englishman and an Irishman walk in to a bar… well not quite, but pretty close. This duo met by complete chance having boarded the same Memphis bound train in Chicago, IL. Clearly they shared a lot in common, neither of them had a penny to their names, both had a love of singing and songwriting, keen folk stylings and apparent insomnia as they sat talking to the wee hours of the morning of musical influences and passions. By the time they arrived at their destination they had named themselves Winter Mountain and decided to travel together, jamming, playing and storytelling as a duo. Some more famous unions that have occurred on the spur of the moonlight moment in the USA *cough*Brittany Spears*cough* have lasted a blink of an eye and delivered about as much talent, but Winter Mountain is definitely a keeper. Good thing they got home from the USA still talking to each other and headed straight to Ireland for two weeks of intense songwriting. Serendipity landed them a spot on a Battle of the Bands line up, which they won, and consequently saw them booked to open for one of Ireland’s favourites, Cara Dillon. Upon hearing the duo, Cara promptly signed them to her record label Charcoal Records which she runs with her husband and producer, Sam Lakeman. That fateful train ride has since resulted in their debut EP, Find, Follow, which is set to release on iTunes this coming Monday, 20th May. I’ve had the privilege of having an early listen and I can’t find any reason not to pick up or even pre-order this little gem, it’s been on repeat for days delighting me with each spin. Featuring three tracks, it spans their folky range, from the more countryesque Shed a Little Light, through the upbeat yet lamentably lovestruck Sarah (which I find myself constantly humming), and wrapping up with a sweet, lilting ballad of Whenever You Lay Your Head Down. It’s been a while since we’ve seen a solid male duo on the scene. With boots to fill of the likes of Simon & Garfunkel, these two manage to blend their voices in delicious harmonies, complementing their emotive melodies quite simply but effectively, while still retaining their young and contemporary vibe. It’s kind of like Indie-folk without actually stepping in to the indie realm. In short, they’ve got great people behind them, swags of natural talent and a clear road laying ahead of them. Country of Origin: Donegal, Ireland and West Cornwall, UK. Sounds Like: Simon and Garfunkel and Fleet Foxes on summer holiday. If you’re familiar at all with the Canberra music scene you would have, at some point, come across Sam King. King features in just about every band to come out of the nation’s capital including Mr Fibby, The Ellis Collective, One Night Jam and Julia and the Deep Sea Sirens (plus more! ), yet has only just started to seriously flex his muscles as a “solo” singer-songwriter. In fact Sam King’s solo act is so new it a) may or may not be called Dapto Street Dapto, b) has no online presence outside of a single Youtube clip (at the end of this article) and c) apparently made its debut at this year’s National Folk Festival with a series of shows at the youth-orientated Majestic venue. I managed to catch Sam King twice during The National and both times I was taken in by his beautiful finger-picked songs and his engaging stage presence. Flanked by various members of his other musical projects King has seamslessly made the transition from band member and session muso to fully formed singer-songwriter. Sam King’s writing and vocal style reminded me quite a lot of fellow National Folk Festival performer Jordie Lane, although the gorgeous arrangements of the songs and sumptuous vocal harmonies from his band place him firmly in the nu-folk crowd with the likes of Husky and Jinja Safari. It was obvious that Sam King is still finding his feet a little as a solo artist – the two sets I saw were essentially the same songs but King performed one acoustically and one electrically – but even this experimentation is enthralling and he was top of my list when it came to recommending artists to other people at The National. How Sam King as an artist evolves – whether he truly goes solo with his material or chooses to keep the Dapto Street Dapto band format – is going to be really interesting to watch. I just hope that he continues to explore this part of his musical identity because it’s truly something special. The best thing about the summer festival season is discovering a bunch of new music. While I do spend a lot of time at festivals checking out sets from artists I know and love I always make sure I spend some time wandering the venues looking for something special that I haven’t heard before. And that’s exactly how I stumbled across Melody Pool at this year’s Gulgong Folk Festival. I feel like I should already know Melody Pool’s music. When I visited her facebook page after seeing her in Gulgong I saw she was already “liked” by a bunch of my friends many of whom I regular look to for musical recommendations. A little bit of digging also revealed that Pool had supported both Lachlan Bryan and Jordie Lane in 2012, both favourite artists of Timber and Steel, and that she is a finalist in Telstra’s Road to Discovery. Hailing from the Hunter Valley in NSW Melody Pool’s music is equal parts country and folk and she has one of those voices you just want to listen to for hours. My first reaction to Pool’s music was how strongly it resembled that of Laura Marling (a fact not lost on the reviewers on her Unearthed Page) but upon listening to her Awake, You’re All Around Me EP more closely it’s clear that she is more than a Marling clone weaving elements of country and indie music throughout her songs. Melody Pool will be launching her brand new album The Hurting Scene at Tamworth this year and judging from the songs I heard at Gulgong it’s going to be pretty special. You can download Awake, You’re All Around Me via Melody Pool’s Bandcamp here – check out the track “Broken and Bound” to see why I was so spellbound. With the ever rising popularity of indie-folk, progressive bluegrass, acoustic rock and the singer-songwriter it’s sometimes refreshing to find an artist actually writing and performing in the tradition. Adding a banjo or mando to your band’s lineup may endeer you to lovers of folk music (and let’s be honest here – the writers of Timber and Steel) but for folk purists it takes something a little more – your connection to traditional music needs to be a little more linier in nature. Which is why when I stumbled upon Coty Hogue recently I just knew I had to write about her – this ladies and gentlemen is “real” folk music. Coty Hogue grew up in Montana before moving to Bellingham, Washington at a young age, a city renowned for its thriving roots music scene. It was here that Hogue developed traditionally influenced, banjo led Appalachian folk style of writing and performing with a voice that is simply stunning. Infusing her music with the whole range of American roots styles – blues, swing, country, bluegrass – Coty Hogue is all at once refreshingly new and instantly timelesss. With an acclaimed debut album, Going to the West, under her belt Hogue is keeping the momentum going with her brand new live album When We Get To Shore. The album features Hogue at her best combing the traditional (tracks like “Wedding Dress” and “Handsome Molly”), the unexpected covers (such as Fleetwood Mac’s “Second Hand News” and Bruce Springsteen’s “I’m On Fire”) and of course of her own compositions. Already very well respected in the American folk scene it’s only a matter of time before Coty Hogue decides to branch out and bring her music overseas. We can only hope that when she does she sets Australia firmly in her sights as her music is something pretty special. We recommend you track down both Going to the West and When We Get To Shore and have a listen for yourself. Sam Brittain has been one of the shining stars of the South Australian singer-songwriter scene over the past year, supporting the likes of Passenger and Matt Corby and bravely embarking on his own national tour to launch his debut solo album Our Shining Skin. Sam’s a product of SA’s famous Barossa Valley region, where he has been active in gigging and recording (mostly with rock bands) ever since his high school years. However, it’s only been recently that Sam Brittain has been hitting the city in a big way as a solo artist. Our Shining Skin delivers a lot more than could be expected of a 22 year old’s debut. Vocally, his experience shines through with control and range that will allow Sam to hold his own on any stage. The recorded sound is also very impressive. Blues guitar, cello, mandolin and fiddle all come and go and the production quality is absolutely faultless. It’s hard to really peg Our Shining Skin within a genre. Most of the time it feels like a folk record, other times a blues-rock odyssey, but there are also songs that would sound right at home on country radio. Straight ahead and subdued acoustic-pop songs such as “Don’t Cry” and “Bones” and “Our Shining Skin” are shuffled between moodier and wonderfully creative bluesy tracks like “Wait For You” that compare to Matt Corby’s “Souls a’Fire” and entrancing journeys like “The Coldest Trace” and “Laneway”. The most enjoyable pop songs on the album I find are those that are fast-paced and tinged with bluegrass or quick-picked folk instrumentation such as “Bruises” and “Garden”. The moment where the versatility of this album really strikes you when the final notes of the contemporary-classical arrangements of “A Perfect Line” fade to welcome the strumming of “Carnival” which evolves unexpectedly but very naturally in a very funky direction. Our Shining Skin is a formidable and wide-spanning resume from Sam Brittain and it will be very interesting to see how his writing solidifies as his career continues, as this record proves he has far more options for direction than most. I only regret that it took me 2 months to take this record out of its plastic. Catch Sam Brittain play alongside Timber and Steel‘s favourite sons Jack Carty (Syd) and Tom West (of Traveller & Fortune) at the Annex Cafe in Glenelg, South Australia on Thursday 16th August. Click here for details. The one folk genre that really seems to have taken off in Australia over the last couple of years would have to be Bluegrass. Originating in the Appalachia region of the United States, Australian artists have taken to the genrelike a house on fire with new jam bands, string bands and pickers popping up all over the country. Once associated with bearded old men plucking banjos and mandolins, the new Bluegrass (or New-Grass) scene in this country and overseas has seen a new generation of artists evolve (and in some cases subvert) the genre to create something very very exciting. These artists are not just confined to folk, country and bluegrass festivals either – you’d probably be surprised to find that many of them are emerging from the urban indie-music scene in our capital cities and performing at mainstream festivals or New-Grass specific events like the recent Jamgrass Festival in Melbourne. We thought we’d spotlight just a few of our favourite Australian bluegrass artists to get you acquainted with the genre – but keep in mind this is just the tip of the iceberg and there’s plenty more where this came from. Let’s get pickin’! Hamish and Lachlan Davidson (above) from Yinnar in south-eastern Victoria are the shining lights on the Australian bluegrass scene at the moment having picked up Golden Guitars, appeared at festivals around Australia and even appeared on Spicks and Specks. The Davidson Brothers have really been embraced by the country music scene in Australia (bluegrass is one of those genres championed by country and folk fans alike) so you’re more likely to catch them at Tamworth than you are at The National – although they are scheduled for Port Fairy this year so that’s definitely not a hard and fast rule. The Quarry Mountain Dead Rats are the first of a number of Melbourne bands on our list. We don’t know what’s in the water down there but we hope people keep drinking it. Originally from the Mornington Peninsula, The Quarry Mountain Dead Rats play frantic, jam style bluegrass music which contains that ever important element – the washboard. If you cast your eyes over the lineup for just about any festival in 2012 (Cygnet Folk Festival, Illawarra Folk Festival, Blue Mountains Music Festival, etc) you’ll probably come these guys are they appear to be everywhere at the moment. And as far as we’re concerned that’s a good thing. WA’s entry into the Australian new-grass scene comes to us in the form of Perth six piece The Seals. Prolific buskers in their home town and bluegrass evangelists everywhere else The Seals combine guitar, banjo, fiddle, mandolin, bass and drums/percussion along with vocals from all five members (listen to their track “High” and tell us you don’t imagine the entire band crowded around a single mic Bill Monroe style). The Seals have put together a lovely little mini-doco on themselves that you can watch below. Given how entrenched these guys are in the burgeoning new-grass scene don’t be surprised to start seeing them pop up everywhere – even if it’s just busking in your local mall. Another Melbourne outfit is Mustered Courage (who seriously have one of the best band names going) whose mission is “to bridge a gap between traditional bluegrass music and the Australian alternative music scene”. While most of the music that Mustered Courage plays is original they are probably best known for their covers including Seal’s “Kiss From a Rose” and Boys II Men’s “I’ll Make Love to You”. Mustered Courage released their debut, self titled album in September 2011 and toured it in Victoria and NSW. They’ve managed to get themselves some triple j airplay recently (which we guess helps them in their mission) and are about to hit Tamworth for the country music festival. Timber and Steel have been promoting Sydney based subversive bluegrass trio The Lurkers since we first launched and there was no way we were going to complete this list without us. The Lurkers are the point at which political activism and banjo picking meet – in fact the legend is they first got together after discovering a shared love of bluegrass while attending a climate festival. So much of The Lurkers’ music is tied to their political ideals from Pretty Boy Floyd’s graffitied guitar (sporting the Woody Guthrie inspired “This Machine Kills Facists”), to the lyrics of their songs right through to the gigs they play which take place both at festivals and climate rallies around Australia and the world. The Lurkers slowed down for a moment last year following on from the birth of Desert Rat Shorty’s first child but yellow biodiesel-powered Lurker-van can once again be seen parked in festival camp sites and hooning around Sydney’s inner west with their second album Who’s Got a Padlock and Chain? in tow. The ultimate jamband the Merri Creek Pickers see themselves as The Grateful Dead of the Australian bluegrass scene. The band have incorporated the very un-bluegrass electric guitar into their band and as a result regularly venture into country, folk and rock during their jams. But at they’re essence they are (as their name suggests) pickers and very fine ones at that. The Merri Creek Pickers will be joining the likes of Justin Townes Earle and Lanie Lane at this year’s Boogie Festival which they’ve got to be pretty stoked about. They’re also regularly seen around their hometown of Melbourne along with a few other names on this list – track them down and check them out. Jordie Lane described The Perch Creek Family Jugband’s new album Tall Tales as “A beautiful example of great bluegrass and ol’ time standards coming from this quirky Australian ‘real’ family band” when he chose it as his top album of 2011 in Timber and Steel’s poll. The Perch Creek Family Jugband have created this myth around them that often makes it hard to separate fact from fiction – apparently they include Australia’s top one-legged saw player, are all brothers and sisters despite their ever increasing numbers and their dancing skills are a direct result of being forced to dance on hot coals as children. The new-grass scene in Sydney has become synonymous with one name in the last year: Bellyache Ben. Along with his band The Steamgrass Boys, Bellyache Ben has been holding court in Newtown’s Madame Fling Flong on Wednesday night’s where they tear the place up each and every week. Bellyache Ben and the Steamgrass Boys has a a whopping 7 members (and even more on a good night) covering everything from banjo to resonator to dobro to mandolin to fiddle to washboard. 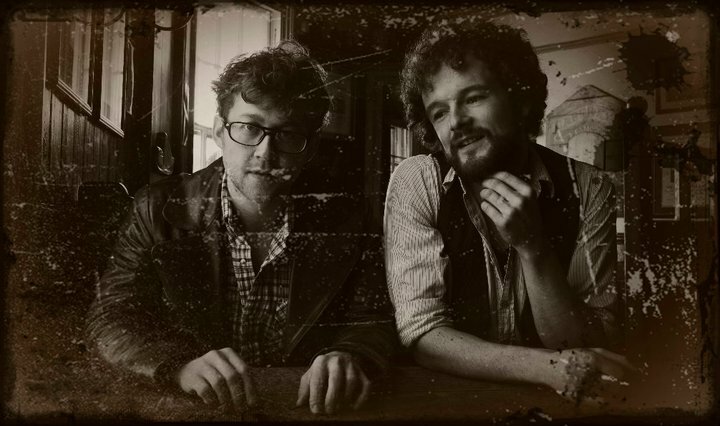 They’ve just launched their self titled debut album and have been announced for the Blue Mountains Music Festival so it looks like 2012’s going to be a big year for Bellyache Ben and the Steamgrass Boys. We have no word whether their Madame Fling Flong residency is set to return this year but we’re hoping it does – it’s just what the Sydney bluegrass scene needs. What makes new-grass so subversive is that it breaks so many of the “rules” set out by bluegrass traditionalists. One of the biggest no-nos on the traditional scene is incorporating other musical styles and songs into the genre – something new-grass artists have been doing from the very beginning. Sydney quartet The Pigs are probably best known for their bluegrass cover of Beyonce’s “Single Ladies”, the video of which (featuring John Williamson) has garnered them more than 200,000 views of facebook. But The Pigs are more than just a one trick pony and they have a whole back catalogue of hilarious bluegrass covers and originals. The blue chesty-bonds wearing boys completely a residency at Sydney’s Empire Hotel in November last year and have already been announced on the lineup of a number of festivals in 2012 including Port Fairy, Corinbank and The Northern Beaches Music Festival – it’s going to be a very big year for The Pigs. Obviously this is not an extensive list and there are hundreds more Australian new-grass players out there. If you’re up for more banjo and mado pickin’ head to The Australian Bluegrass Blog or Jambands Australia and get exploring. We hope you’ve liked our little slice of bluegrass heaven.